Vintage Rhodes Mark I 73 . Shipped with UPS Ground. I do not wash it or not I clean these. You get it in the original condition. P urchases must be completed. All rolls appear to be in very good condition and playable. We have no way yo test them. 9842 Moon River - Ballad Fox Trot - played by J Lawrence Cook. Lot includes 2477 Joy to the World - Christmas Carol - played by Harold Scott. 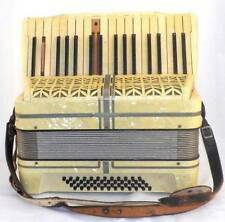 RELISTED - PLEASE ONLY BID IF YOU INTEND TO PAY Vintage Hohner Accordion / Squeezebox A little age related wear as expected. No expert so please feel free to ask any questions and I will answer them as honestly as I can. Please view my other items for more bargains and collectables PLEASE NOTE IF YOU ARE BIDDING OUTSIDE OF THE UK PLEASE CONTACT ME BEFORE BIDDING FOR AN ACCURATE POSTAGE QUOTE Having been asked a few times what key this is in I'm afraid to say I don't know. I genuinely have no idea about musical instruments so this is sold as seen. I know it makes a noise when I open it up. Sorry I can't be more specific. Der Balg ist dicht und Sauber, die Töne sprechen alle auf Zug und Druck an. Dieses Akkordeon ist mit einem Lederhaltegurt versehen und ist in einem guten gebrauchten. Sofort spielbereit. 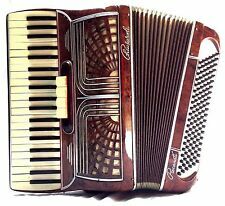 Hohner Modell : Starlet 40. 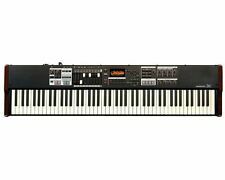 SYNTHETISEUR 100F TEISCO (Kawai) avec ses fiches de programmation. Le son du 100F est unique et impossible à reproduire, idéal pour FX, musique électro, rap, etc. Synthé de type Roland, Moog, etc. LA TASTIERA PER QUANTO FUNZIONANTE HA BISOGNO DI MANUTENZIONE IN QUANTO FERMA DA ANNI. Tight bellows with no odors, all keys and switches functioning as intended. We have dissasembled and thoroughly cleaned and adjusted, then played. One small superficial celluloid surface crack repaired back side. Das Akkordeon hat 32 Bässe und 15 weisse Tasten und 10 schwarze. Das Akkordeon ist in einem gebrauchtem, sehr guten und gepflegtem Zustand. Verkaufe es als Sammlerobjekt, ob es richtig gestimmt ist kann ich leider nicht sagen. The Moog Rogue is a monophonic analog synthesizer produced by the original Moog Music in the early 1980s, but, was not designed by Bob Moog. Very basic in its design and use, the Rogue featured a 32-note keyboard and two VCOs. This is a fully working polyphonic synthesizer analog board, taken off a Sequential Circuits Multi-Trak synthesizer, due to computer board malfunctions. All keys and switches functioning as intended. 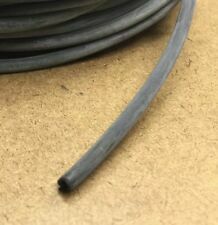 Tight bellow with no odors. We have disassembled and thoroughly cleaned and adjusted. Plays great with full sound. Sehr gut erhaltenes Akkordeon aus den 60er Jahren aus Klingenthal. Es ist sofort spielbereit. Der Balg ist absolut Dicht. Alle Tasten und Töne funktionieren tadellos. sehr kompakt, nicht schwer ,6,9 kg, Breite 42cm. Neues AngebotNickelodeon Player Piano A-Roll: Original Clark 190, "ALL-HIT REVIEW"! Up for grabs here is Original Clark 190, "ALL-HIT REVIEW" for your consideration. All in all, a nice addition to your ever-growing A-Roll collection. Good Luck! The EKOsynth P15 from the Italian make EKO is a very rare preset-based synthesizer, circa 1979. The P15 is monophonic and totally analog. The signal path is still entirely analog from start to finish, and the result is very warm sounding. Designed to fit perfectly into passive Mark I and II Fender Rhodes. (as well as almost all other models) Avion Studios is a leading parts manufacturer for Fender Rhodes. The Retroflyer frankly sounds fantastic. Plays beautifully with high quality reeds. Bellows clean and tight with no odors. We have disassembled and thoroughly cleaned. Numéro de série 3559 sur la caisse et la grille. Consultez nos autres objets ici. KULT organ. HOHNER SYMPHONIC 30. Am Boden ist der Vinyl Bezug etwas eingerissen und beschädigt. Sonst mit normalen Gebrauchsspuren und Zeichen der Zeit. wurde ua von Led Zeppelin verwendet. Made in Germany 1960s. VERY RARE PIANOLA MUSIC ROLL STORAGE CABINET. 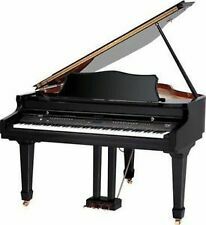 DEEP SO AS TO ACCOMADATE PIANOLA MUSIC ROLL BOXES. WOULD LOOK FANTASTIC NEXT TO A PIANOLA WITH ROLL BOXES IN IT. TOP 3 SHELVES FOR PIANOLA ROLLS. BECAUSE IT IS DEEP COULD BE USED FOR STORING BOTTLES OF WINE. Vendu dans l'état pour restaurer ou pour pièces. Plusieurs pièces seront à remonter et il manque peut-être certaines. Du vent sort lorsqu'on l'actionne mais pas de son. 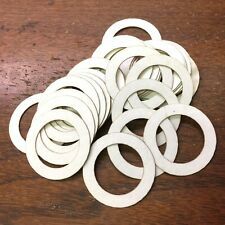 Les objets que je vends sont vendus pour la plupart dans l'état où je les ai trouvé dans des greniers, des granges etc. Lot of 37 Player piano rolls CATALOG. Boxes and rools in good condition. Trusted seller fast shipping. Please ask any questions before buying. Thankyou so much! There is obvious general wear and tear to this item due to use but does not take away from its functionality. Colour: Black. It does show signs of usage with a few small scuff marks and general wear and tear. IT WORKS GOOD BUT THE PLASTIC COVER THAT PROTECTS IT FROM DUST HAS SCRATCHES ON TOP. 36 INS LONG X 15 INS WIDE X 6 INS HIGH. Vintage Magnus Electric Chord Organ Model 300 Made in USA Works Well. Vintage Magnus electric organ. 2 0ctave. 6 major triad buttons. Every key works perfectly. I owned one in 1966. Accordion like sound quality. Here is a cylinder for a music box. Not tested. Here for sale is this rare italian organ. This is a really rare keyboard. The fan still runs inside of it. There's a key that rased up a bit. I couldn't find any information about it on Google but the label at the back as you can see are all the relevant info I get. BON ETAT GENERAL manque 1 grosse touche et 3 petites touches sont réparées. 72 touches de l'autre côté. Collection of 30 odd pianola roll which are the scarcer 65 note pin end variety used on earlier pianolas. Antique player piano roll of Paderewski's 1887 minuet in G major Op. 14. - Antique but in beautiful condition. This unit was tested and the keys that are marked with yellow tape have issues. Salesbaron is in Los Angeles, 90039. LC-F-3868 (8/L-6x26x13) SL. They are in vair to good condition. THERE IS CHRISTMAS HYMNS AND MANY OTHER TITLES. ZOOM IN ON PICTURE TO SEE TITLES. I HAVE NO WAY OF CHECKING THESE SO THEY ARE SOLD IN AS IS CONDITION.